Do Hotel Chains’ Loyalty Programs Pose A Significant Threat To The OTAs? Online travel agencies (OTAs) and hotels seem to have somewhat of a love/hate relationship. Though OTAs bring more customers to hotels because of the increased exposure that they offer, hotels need to pay a certain percentage of commissions to the OTAs, thus reducing their share of the revenues. Therefore it is common for hotels to keep promoting their own loyalty programs in order to incentivize travelers to directly book on their own websites. Large hotel chains in particular are very aggressive in pushing direct booking options. Chains such as Hilton and Marriott have been active with their advertising campaigns to lure travelers to directly book through their respective websites. These chains also provide attractive discounts for direct bookings, thereby dissuading users from booking through OTAs. 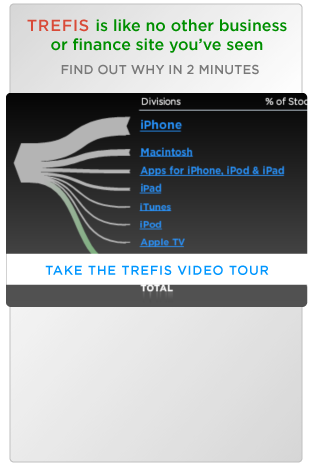 Despite all of this, hotels remain more dependent on the OTAs than they’d like to be. The size and scale of the OTAs, their significantly bigger hotel networks, superior marketing, and technological strength are some of the reasons why customers prefer OTAs to direct booking. Also, it is not profitable for hotels to continue giving substantial discounts or to spend huge amounts on advertising campaigns. Bookings through OTAs will likely continue to rise as the online channels’ share of total travel bookings keeps rising in the future. A recent Phocuswright report states that in the U.S., the online channels accounted for around 45% of total gross bookings in 2016. This figure might be lower for developing markets, but with increasing internet penetration globally this proportion is bound to grow in those markets as well. 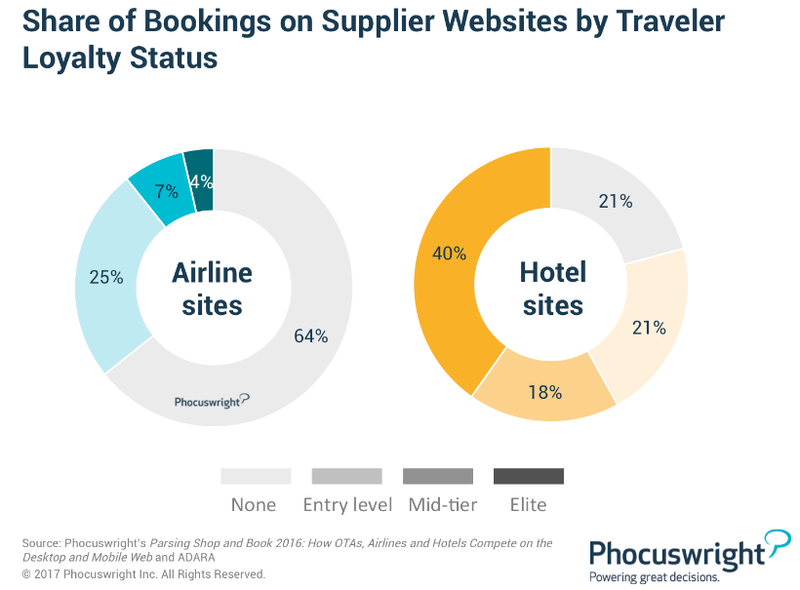 The chart below, from Phocuswright, shows that airlines receive almost 64% of their direct bookings from people who are not enrolled in their loyalty programs, while the percentage is just 21% for hotel suppliers. So around 80% of direct booking customers for hotels are enrolled in their loyalty programs, and half of those bookings are done by Elite members. This implies that – other than elite members – most travelers do not prefer to book through hotel websites, especially if they do not fall under a loyalty program. Many travelers do not seem to care much about the hotel brands, as long as they can get good value by booking through OTAs. The OTAs, on the other hand, offer a wide range of hotels to choose from within their preferred price range. With the inclusion of more and more properties on their platforms, the OTAs’ power to compete with hotel chains will likely keep getting stronger over time.